WAN-IFRA in partnership with Sida is pleased to announce the launch of nominations for the 2018 Women in News Editorial Leadership Award. The award recognises an exemplary contribution of an Editor to her newsroom and under her leadership, the contribution of her newspaper to society. One outstanding editor from sub-Saharan Africa and one from Middle East and North Africa will be named Laureates in 2018. The Women in News Editorial Leadership Award will be awarded to two outstanding woman editors who are first amongst their peers in inspiring and paving the way forward for the next generation of leaders. The Winners will possess a proven track record of success within her newsroom, have demonstrated uncompromising editorial integrity throughout her career, and have a strong commitment to the principles of press freedom and its power to promote democracy and good governance. The deadline for nominations is 8 April, 2018. Please fill the nomination form and send to apply@womeninnews.org. You can download the Africa nomination form here. For the MENA nomination forms, click here for English or here for Arabic. In 2017, the award was given to Karima Kamal, columnist and contributing editor for Al Masry Al Youm from Egypt and Kenyan journalist Pamella Sittoni, Editor of the International Desk for the Nation Media Group and Managing Editor for The East African. “This award is a strong confirmation that the world is taking notice of the important contribution that women leaders in media houses are making to the development of their countries, regions and the world. I'm confident that it will inspire other women journalists, particularly the younger ones, to aim for the top through diligence." said Sittoni. On being named a winner, Kamal said: "I am very pleased to have received the Award as I feel it is the crown of my professional journey. The Award supports those who defend the freedom of the press, and is also a confirmation of the importance of promoting the presence of women equally and fairly within all strata of media”. 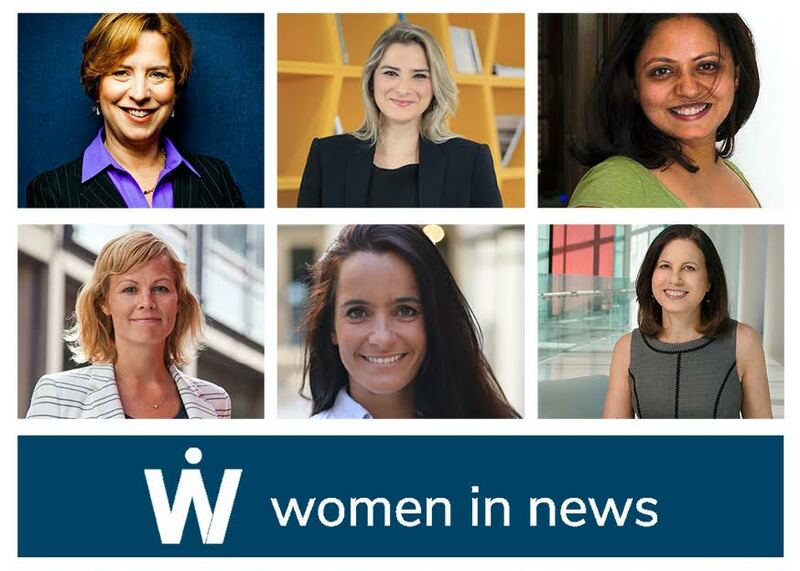 The 2018 recipients of the Women in News Leadership Award will be honoured during the WAN-IFRA News Media Congress in Estoril, Cascais, Portugal, 6-8 June 2018. The Winner will receive an all expenses paid trip to attend the World News Media Congress 2018, the premier global annual meeting of the world’s press. - Be based in the sub-Saharan region of Africa or the Middle East and North African region. - Hold a senior editorial role as of 1 January 2018. - Work in a news media role (newspapers, magazines and digital-only). - The media house can be any size from across the regions. Deadline for nominations is 8 April 2018. You can download the Africa nomination form here. For the MENA nomination forms, click here for English or here for Arabic. I will like to get notification for upcoming events, fellowships and awards. Thanks you.